Arguably the single most important design in aviation history, the Dakota was the airplane that launched modern air travel and was the backbone of US military air transport in World War II. Many Dakotas are still flying nowadays, including on commercial passenger/cargo aircraft. 1. This C-47A-80-DL of the 80th Troop Carrier Squadron, 436th TCG was stationed in Melun-Villaroche, France, in March 1945. 2. 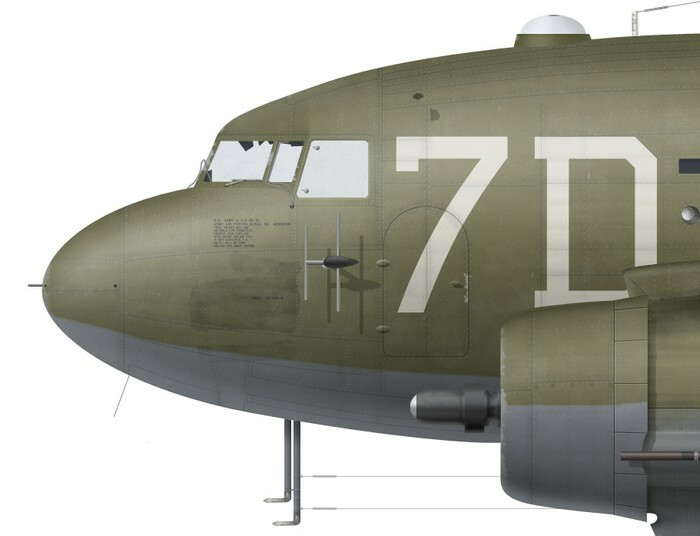 “Drag Em Oot” is a preserved C-47A-75-DL still flying today, and carrying US wartime colours. 3. “Fifi Kate” is another preserved Dakota. It is a C-47A-35-DL and carries RAF wartime colours and invasion stripes.